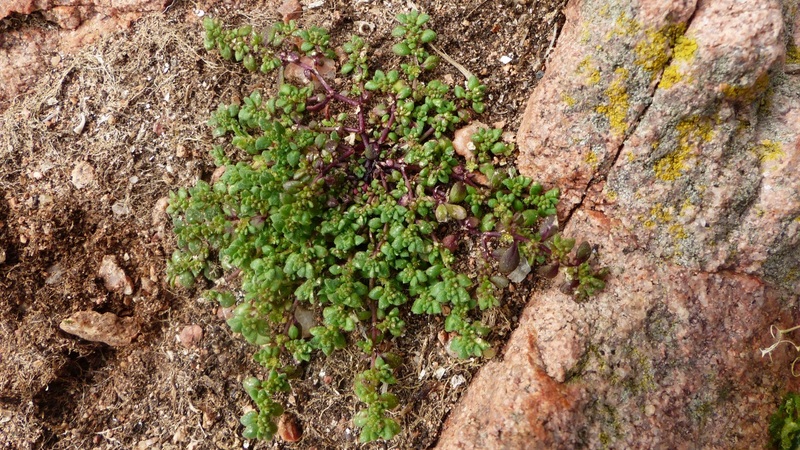 The Berlengas Rupturewort is endemic to Berlengas and can be found in Berlenga Island and Farilhões Islets. It is a small plant that grows close to the ground and forms a small flat rosette, with succulent leaves that ensure protection against the high salinity of this insular ecosystem. It flowers during June and July. Berlengas Rupturewort grows in skeletal soils and cracks in the granite rocks. Although it can be found along the trails in Berlenga Island this small plant is often overlooked. Since it is restricted to Berlengas, this rupturewort species is considered Vulnerable (VU), and the main threat to its conservation is the expansion of the Hottentot Fig.